Currently i have an iphone 7, i have to take the phone out of its case due to the 30 pin to lightning adapter needed to plug the phone into the usb and aux input on my current radio, does this radio. With the MVH-180Ui you can just use your apple lightening cable and plug it into the head unit. I already have the sterio with was from my last car but I forgot to take the wires what wires will I need to get this to work in my Peugeot? If I purchase this stereo for my Seat Ibiza Sport 07 facelift model, would I need any adaptors or anything else? Assuming you have the Mk3 Ibiza you will need some parts. Please see links provided. 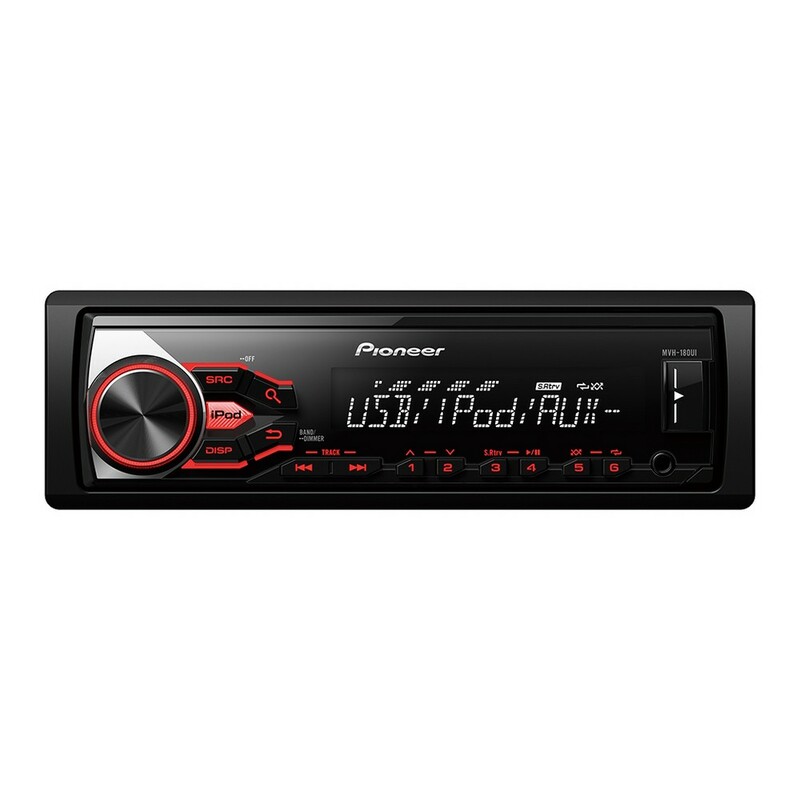 If I buy the Pioneer MVH-180ui will I need to purchase any other items for it to work in my 2005 Citroen C2? Your year of citroen is a crossover model year and can have 2x styles of wiring plug behnd the radio. It also depends if it has factory reverse parking sensors . please contact your nearset car audio centre outlet for detailed advice. If I buy the Pioneer MVH-180ui will I need to purchase any other items for it to work in my 2004 Mini Cooper?